Would you rather fly Boeing or Airbus on the longest flight in the world? Qantas Airways Ltd. is cranking up the rivalry between Boeing Co. and Airbus SE in the hunt for aircraft to undertake unprecedented 20-hour trips halfway around the world. The Australian airline plans to fly non-stop from Sydney to New York and London by 2022, marathon routes that will be the world’s longest commercial services. As the two aerospace giants pitch to supply planes for the flights, Qantas Chief Executive Officer Alan Joyce is squeezing the arch-rivals for every dollar to make ‘Project Sunrise,’ as he calls it, viable. Amplifying competition for plane orders is standard practice in what’s largely a two-player manufacturing market. But Joyce faces extra pressures: he’s trying to make money on routes that he calls the last frontier in aviation, and he’s set a deadline for this year to place an order for aircraft. Already, the rising cost of fuel is shredding profitability on his international routes. 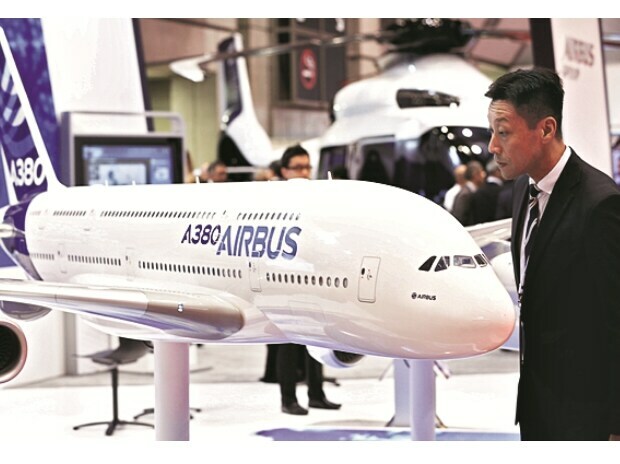 “We’re going to have a great competition between Boeing and Airbus and that will help us make the business case work,” Joyce said in an interview on Bloomberg Television on Thursday. Boeing and Airbus both have planes that can do the job, he said. Qantas is targeting direct flights to New York and London from Sydney by 2022. A tender process will determine the price of the aircraft and associated costs such as maintenance and engines, Joyce said. He has previously said the choice will be between derivatives of Boeing’s 777-8X and the ultra long range A350-900ULR and -1000ULR from its European rival. “I had an executive from Boeing tell me it was like the space race, the first person to get to the moon,” Joyce said. The profitability of Qantas’s direct service between London and Perth, which started last year with a focus on premium flyers, suggests Project Sunrise can also be viable in an era of pricier fuel, Joyce said.